The Society for Domestic Museology is a social collaboration designed to bring people together to discuss art and ideas at home. 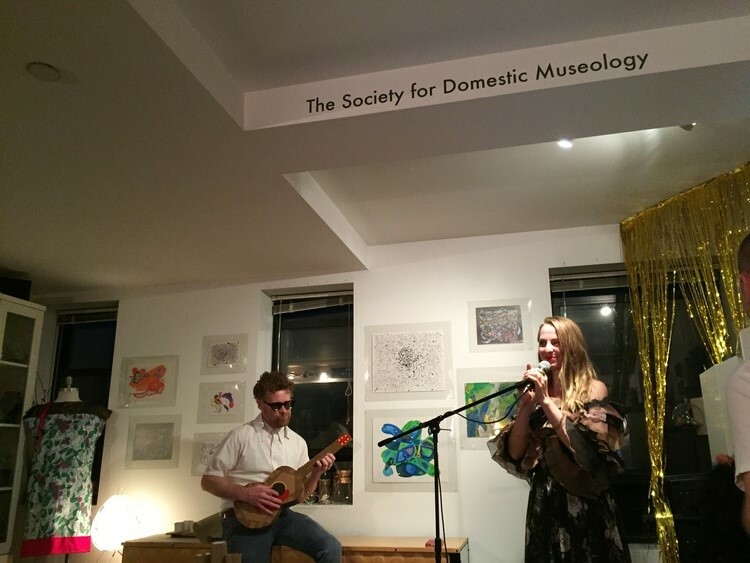 Welcome to the online home for the Society for Domestic Museology, a membership organization designed to bring art, music, ideas and food, together in the living room. We organize and host exhibitions of original work, from established and emerging artists and performers, located in living rooms, artist studios, and other non-traditional spaces. Here you can read about and see images from past exhibitions and events, learn more about the featured artists, and find out how to become a SFDM member. Julia Jacquette in conversation with Nayland Blake and Chris Pape about growing up in 1970’s New York City. The Society for Domestic Museology events bring people together to discuss art and ideas at home. We are always looking for kindred spirits who want to join the conversation around art and ideas. To keep up with our events and activities, sign up for our newsletter.